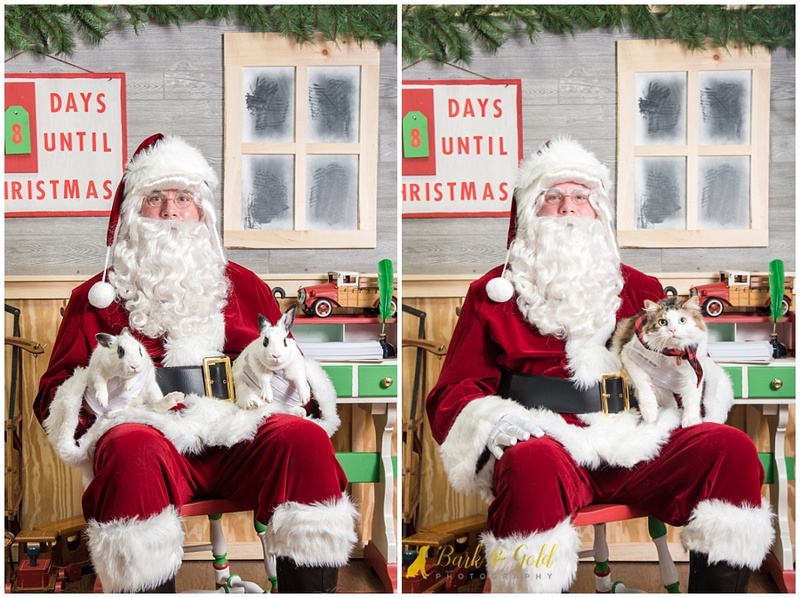 This past Saturday, Petagogy’s Greensburg location hosted its annual pet photos with Santa event, recognized as one of the best pet-friendly Santa events in Pittsburgh! A total of 138 pets, including dogs, cats, ferrets, and even bunnies, came out for this annual event. Each pet parent received a complimentary, low-resolution digital image of their pet(s) and had the opportunity to view and purchase a variety of holiday-themed products, ranging from holiday cards and ornaments to magnets, mugs, and gift prints, which were available in-store during the event and through the online store. I just love northern breeds! Nanook and Pup certainly had that natural winter look going on! It’s always great to see the whole gang decked out in their most festive attire. 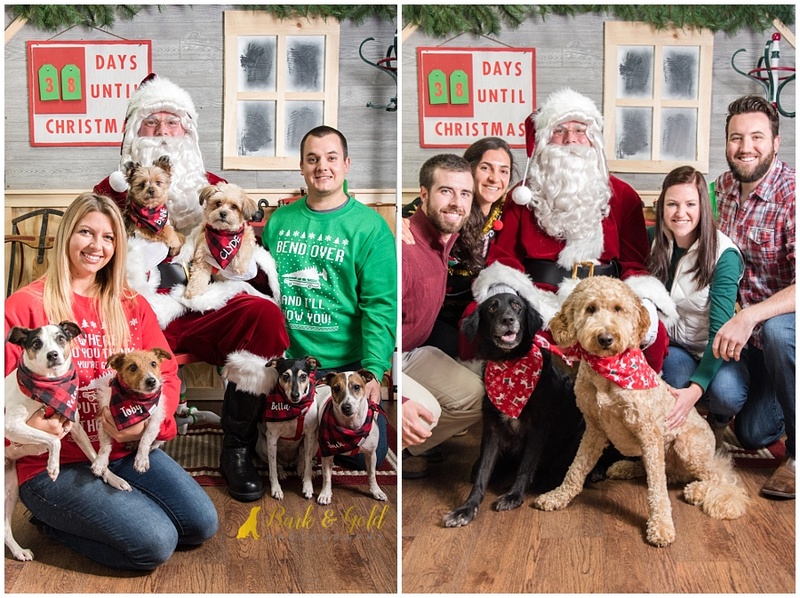 From dog bandannas to ugly Christmas sweaters, this year’s pups and their parents really took getting in the holiday spirit to the next level! 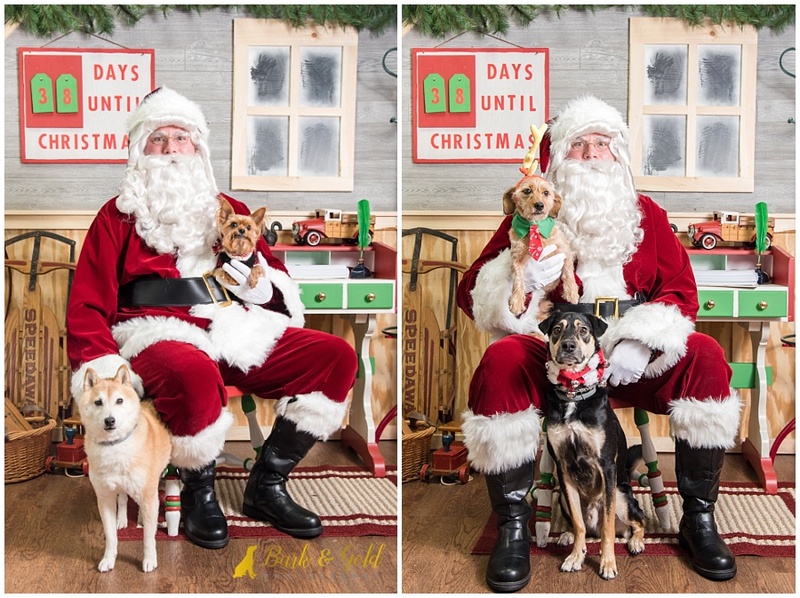 “Sleigh bells ring / Are you listening?” I’d say these fur babies are. Check out their fantastic ears! Santa better be quiet sneaking presents under their tree; I don’t think they’re going to miss a peep this Christmas Eve! It’s always fun to see what different animals will join us at the store. There are always plenty of pups, but this year also welcomed ferrets, cats, and bunnies. 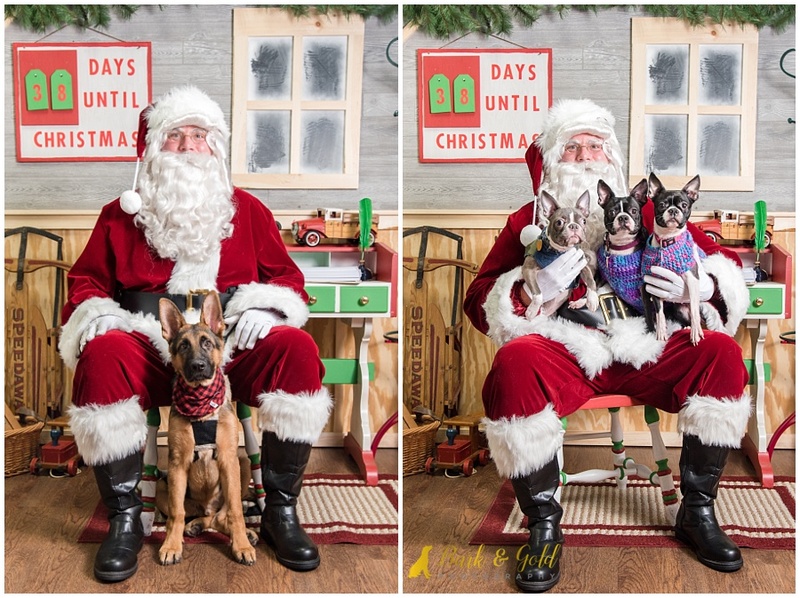 If you want to see more from this year’s event, click here to like Bark & Gold Photography on Facebook and browse the entire Petagogy Greensburg Pet Photos with Santa 2018 album. While you’re there, be sure to like your favorite festive fur babies as a part of Petagogy’s annual photo contest. The pet(s) with the most likes by 8 p.m. on Friday, Nov. 23 will receive a special Petagogy holiday treat bag. 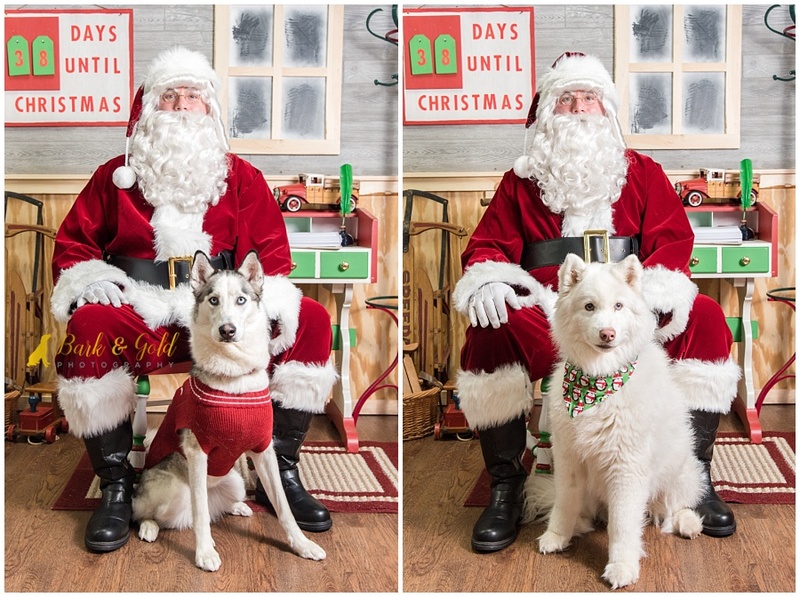 Did you miss this event, but still want to get your pet’s photo with Santa? I’ll be at Petagogy’s Shadyside location on Saturday, Dec. 1 for round two so be sure to save the date. To purchase prints, digitals, and other products from this event, visit www.barkgoldphotography.pixieset.com/greensburg-santa-2018/. Q&A: What Makes a Good Space for a Backyard Session? ← Q&A: Which Type of Wall Art is Right for Me? My baby Boston’s! Glad they made the lost of favorites! You did awesome! Your babies were a breeze to photograph! I just love those ears–I mean, how can you not? !